Check out the newest issue of Autism Parenting Magazine! With up-to-date news and professional resources for parents of children with autism, this magazine offers expert advice from medical professionals and therapists among others, autism treatment centers and therapies, news and research in the field, and even real life stories from parents and families that inspire and provide support. 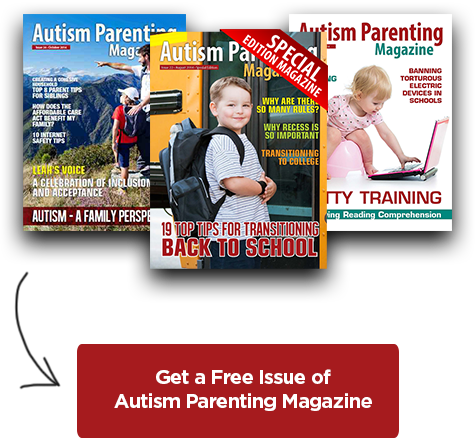 For more information about the Autism Parenting Magazine, visit their website here. Written by: Different Roads to Learning on July 10, 2015.on July 8, 2015. This entry was posted in ABA, Applied Behavior Analysis, autism, Autism Awareness, autistic spectrum disorder, Resources and tagged autism, Autism Awareness, autism education, Autism News and Publications, Autism Parenting Magazine, Different Roads to Learning, parenting, Resources, transitions by Different Roads to Learning. Bookmark the permalink.